Penstemon parryi, Parry’s penstemon, is a popular low maintenance wildflower in Arizona and Northern Mexico, but is looks beautiful in many landscape settings. This beauty looks great planted en masse in perennial borders, rock gardens, cottage, or in desertscapes. 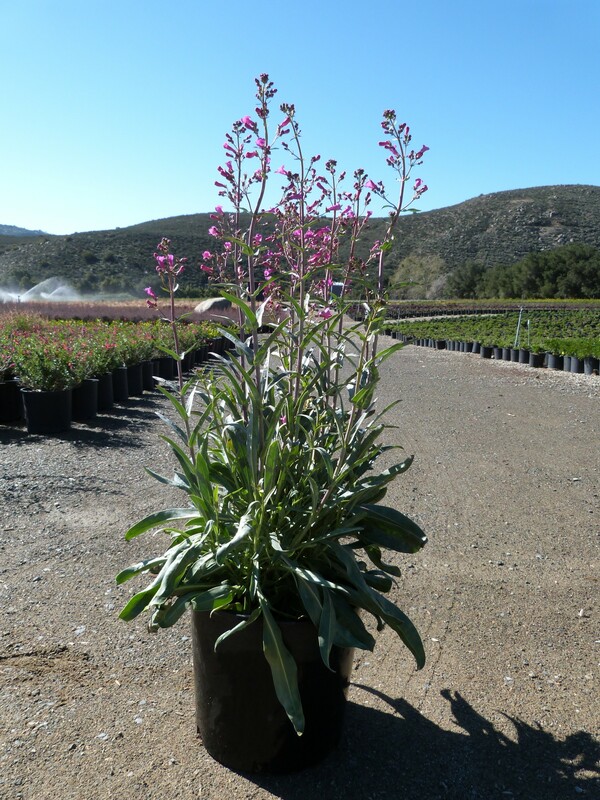 Penstemon parryi is a clumping, low growing plant with blue-green lanceolate leaves that reaches about 1-inch in height with gorgeous 2- to 3-foot flower stalks towering over head. Late winter through April, expect large stalks of hot pink to red tubular shaped flowers. Hummingbirds and other pollinators are frequent visitors. Occasionally dividing plants encourages more blooms as the plants age. Penstemons are adaptable to a variety of soil types, from poor to well-amended. Please note, that this plant does not appreciate wet feet so good drainage is key. Additional watering in the summer will enhance next year’s blooms and will reduce stress, although it can survive on rainfall alone. During periods of drought, this plant may become dormant, but will quickly return during the fall as temperatures cool down. Parry’s penstemon is also extremely pest and disease free.